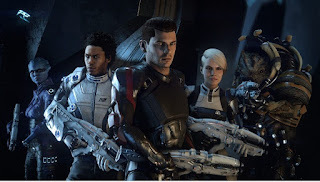 If you experience a Black Screen, Crash, Lags, Not Starting or performance problem with Mass Effect Andromeda, then we have collected some solution to known problems. To eliminate many of the common errors in Mass Effect: Andromeda, make sure that your PC meets the minimum system requirements for the game. You can fix some problems with a few tricks, while for other you have to wait for updates from the developer. - Restart your router to reset the connection. - VPNs and proxies can cause problems on the PC. Turn it off. - Check your NAT type and provides an open connection. - Make sure you have an active membership on PlayStation Plus and Xbox Live Gold. If you then always have connection problems, the following ports forward. Owners of Radeon graphics cards report graphics problems when they turn on the HDR effect. The following solutions can help solve the problem. - Switch back and forth between the desktop and the game. - Turn HDR off and on again in your Radeon graphics settings. - Try to switch between combat and exploration modes. - Press the jump button repeatedly. - Open and close your scanner repeatedly. - Save the game and restart it. - Use the fast travel to free yourself. One of the most common problems is the black screen, which appears with some players when starting Mass Effect: Andromeda. This problem is easy to solve. If you use the Corsair Utility Engine (CUE), you should uninstall it, which should fix the black screen problem. - Press Alt+Tab, to run the game in frameless window mode. - Installs the Latest driver for your graphics card. - Disable your Antivirus software or create an exception for the application of the game. - Disable Origin Overlay in the user settings. - Start the game only when it has been completely downloaded and updated if necessary. - Re-install the driver for your graphics card. - Install DirectX and VC++ Redistributable over the appropriate installers in the game directory again. The Motion Blur effect is very much represented in Mass Effect: Andromeda and causes problems for many players. In addition, it can throttle the frame rates. Therefore, if you want to improve your gameplay and performance, then you should not use Motion Blur. - Go to the installation directory of the game (By default: C:\Program Files (x86)\Origin Games\Mass Effect Andromeda). - Save the text file and start the game. 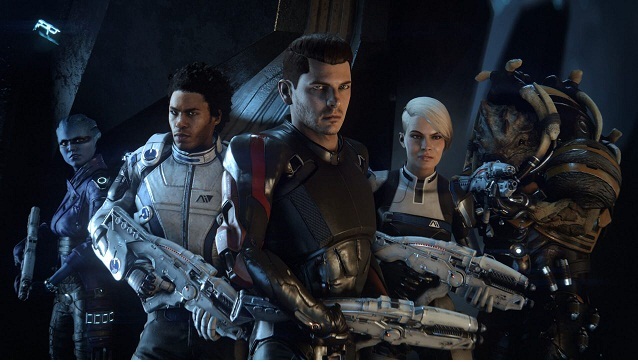 Some players report that they stuck on the loading screen when they want to start Mass Effect: Andromeda's multiplayer mode. This probably has to do with connection problems. There is no solution for this as yet and the developers will hopefully provide a fix. According to reports, audio playback does not work properly in multiplayer mode. For example, shots are heard from all directions, enemy circling sounds seem closer than they are, and the calls from team members come from the wrong directions. This issue only occurs in multiplayer on both PC and Xbox One versions. There is no fix and you have to wait for an update from the developers. The Origin client allows you to start Mass Effect: Andromeda, if 42% of the game data has been downloaded. However, players report that the game would not start anyway. You should wait until the game has been fully downloaded before you start. A few players have complained that they could not buy Mass Effect: Andromeda over Origin with the usual payment methods (PayPal or credit card). In such a case, you should cancel your pre-order and try again with the purchase. If this does not help, contact Origin Support. If you are not able to cancel your pre-order of Mass Effect: Andromeda on Origin, use the Internet browser instead of the Origin Client. But delete your cache before you try it. If this does not help, contact Origin Support. As a user of Origin Access or EA Access on Xbox One, you have access to the trial version of Mass Effect: Andromeda. However, some players have problems finding the trial version in their game library. It may happen that the version is not yet enabled for the corresponding region. But the Origin Support knows this problem and will hopefully correct it in a timely manner. In addition, some players cannot download the trial version. The download stops after some time and is reset. Unfortunately, there is not much that you can do. Tried to restart your PC and router and hope that it will work. As soon as we get information about new problems with Mass Effect: Andromeda, we will supplement this troubleshooting guide accordingly.